It is said that a machine can perform the work of a hundred men. This is true with the lathe machine that is regarded as the mother of all machines. It is versatile and very useful in manufacturing, production and maintenance workshops. Bearings on the other hand are widely used in automobile, motors, pneumatic and hydraulic machines, engines, wheel hubs, gear boxes, industrial transmission lines, aircraft and ship. They are virtually applied in nearly all equipments that have rotating parts and therefore represent a large local and international market. 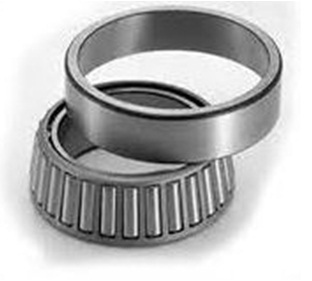 The main types of bearings are ball, roller and the journal bearings. All these require the lathe machines during their manufacture. These have an outer and inner race, the ball and cage to mount and hold the balls. Specially designed lathes are used to turn cylindrical work pieces in large quantities to form the inner and outer race. The turning operation ensures that the inner and outer rings of bearing have very accurate and precise diameters that meet the tolerance limits. The device is also used to lap or smooth the inner and outer race to minimize friction. The lapping operation gives the bearing a very smooth surface where shaft and balls can roll on. The outside faces are also cut to the required flatness. It is also used to face and lap the inner surfaces where the ball rolls. The type used depends on the size of the bearing with heavy duty all geared type being suitable for large diameter sizes. For very precise applications such as those in aviation, medical equipments and sensitive instruments; the CNC type achieves the required precision and dimensional accuracy. These have rollers instead of balls. They are used in heavy loading applications such as gears, transmission shafts and areas with high axial thrust. Again turning and facing operations are performed using this machine tools. The precision, size, accuracy and tolerances determine the type of equipment to use with CNC be favored for high precision work. They are applied in all internal combustion engines and forms the rotating parts of crank shaft. They are also used in large turbines, motors and heavy machinery where roller and ball types cannot be used. Essentially, this device is made of two rotating parts that slide along each other. Specially designed turret and capstan lathes are used in mass manufacture of these journals. These reduce the diameter (turning) to suitable inner and outer diameter. This is followed by parting-off or cutting the concentric cylinder to accurate length. For journal to function effectively, they must be smoothened. This is achieved using lapping operation. The cylindrical work piece is rotated against smooth abrasive material to remove a very small layer of materials and achieve high quality and extra smooth surface. This entry was posted in Lathe Machine by Yash Shah. Bookmark the permalink.